It is tempting, in thinking about what to say about Nicholas Szczepanik’s contribution to the illimitable drone pool, to attempt an apologia for drone itself. It is an area of sound surfeit with indistinguishable releases, by intention self-limiting and unornamental, and, for many its chief deficit, generally unconcerned with ideas of progression or radical development. The apologia, if I exercised it here, would be an effort to argue for a listen to The Chiasmus with a refreshed consideration of what the best drone music yields- immersion, the sensuality of oscillations, the tactile experience of timbre, the context for meditative states. The means-monophonoic loops and cycles, what detractors call “tonal dogma”, spatial density, the insistence of waves and surges of repetitive tones, cleaves music fans in two as much as any area of music can. The paradox of drone, whether produced by sine wave, sargam, Ableton, or analog, is its self-limiting essence, and this will, as I said, separate your friends quite nicely into at least two camps. So my apologia, were I to advance one here, would state this idea upfront- the best drone today contains the elements of its best antecedents, and while contemporary drone artists might stress what is additive or personal in their extension of the drone lineage, what I hear, and privilege in my enjoyment of drone, is that rearticulation. Barnett Newman, discussing the avalanche of similar visual artists in his wake, asked “Are they creating something, or making something?” I can enjoy both results, of course most appreciating those who create something. Somewhere between No Pussyfooting and Evening Star, Eno said, “Robert Fripp and I will be recording another record very soon. It should be even more monotonous than the first one!” If a music is prized for its attempts at innovation, drone will bore, baffle or at best provide a soporific for a stressed out audience. It is apparent many are drawn to drone for that last quality-it serves as a musical palliative, sonic St. John’s Wort. This accounts for the pervasive amount of drone music in the New Age market. Not a thing wrong with that, but that is hardly the nature of the works of Niblock, Radigue or Tenney. Or of many whom have followed, crafting their own drone architecture, mindful of the templates of previous drone generators extending back many years. 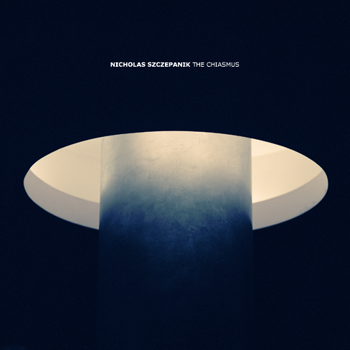 There is, in Szczepanik’s meticulous tracks, a felt sense of familiarity and an individual seal. The Chiasmus links memory to prior encounters with Eno, Jeck, Popol Vuh, others. Drone is an archetypal form, a fact that sometimes is mistaken for a played out form. So, my receptivity and occasional avidity for drone music has been a life-long thing, something that became very clear to me as I teased out this idea of a drone apologia. I regard drone as genuinely archetypal because I recall its many, myriad presentations over the years, and my affinity for it. When I was young, there was a park in the mid-sized city I lived in where you could hear the industrial thrum and whir of the Cargill factories near the park, particularly at night. I was into this sound, sought it out many nights, and might have had my first realization of the music of cities there. I was 15. At the same time I discovered the Velvet Underground, and seized on John Cale’s bracing drones in Heroin and like music. Also around that time I went to hear Allen Ginsburg read, and he accompanied his poetry with the harmonium. It seemed at once goofy and beautiful to me. Then there was Eno and Fripp, Tangerine Dream, and, most mind-stoppingly potent, the encounter with the vina and the tambura in Carnatic music. Follow this with viewing my first Herzog film and the envelopment of Popol Vuh’s soundtrack, the discovery of modal jazz, pedal point and Terry Riley, and you get the idea. I digress to convey the sensibility I bring to Szczepanik’s lovely, laboriously realized The Chiasmus. If you seek out a second opinion, a spoiler alert- several reviews mention a facet of the overall structure of The Chiasmus I will bypass, in order for you to experience it for yourself. The Chiasmus flows from a lineage issuing from Eno’s rich ambient works, particularly the 1978-1982 run of Music For Airports/Plateaux of Mirror/On Land. Who are Szcezpanik’s fellow travelers?- maybe Asher Thal-Nir, Christopher McFall, some of Greg Davis’ work. Comparisons may be odious, but keeping with my initial point, that the depth of the best drone work is in this reiteration and revisiting of antecedents, that’s the territory. The five tracks are sequenced nicely, and even with points along the way in which Szczepanik tosses some grain and gravel into the mix, the overall effect is psychotropic. Cellular ideas recur, the five episodes developing towards a final, distilled track [entitled Lose Yourself…] that floats along with a finely detailed drift. The tonic often sounds like held organ chords, with ribbons and skeins of added voicings, the incremental, thickening textures familiar in drone works in this area. I have found repeated listens reveal how nuanced some of this assemblage is- there are details-pulses, sonic spires and wisps, emerging and ebbing pitches, I didn’t hear initially. There is a dynamic alternating of raw, slightly noisy elements, with lush and serene ones, but this is not a work for someone seeking a preponderance of noise. I’m sure the Eno circa 1980 comparison makes that clear, though Eno wouldn’t have tolerated a few of Szczepanik’s more industrial flourishes. Generally Szczepanik adheres to another drone template, the quiet start rising and surging to peak and eventually subside. Not always that linear or that shape, but consistently pretty narrative and dramatic. That this is Szczepanik’s first proper release in this area, and that The Chiasmus rewards close, repeated listens so fully, is impressive. I have a sense this is a prologue of sorts, that Szczepanik is committed, at least for now, to diving deep into drone’s elemental potency; it seems unlikely his extension of the possibilities of drone, rooted so confidently in its history, is an accident. The Chiasmus is available here. This entry was posted in music writing on March 10, 2010 by jessewgoin. Great review, great album. I had many similar observations during my many listens over the past year. Thanks. Thanks for that. Who are you? Hi Crow, great article, especially about the relations with our antecedents, an anxiety of influence as it were. Thanks. Caleb, thanks for checking in. Have you ever compiled a sort of essential drone list? I have a short drone classics series of posts on my blog (all on the sidebar for easy access), but haven't added to it lately because of other time commitments. I've seen someone else's fairly long list of essential drone recordings, but can't lay my browser on it at the moment. Jesse, it's Steven Flato – sorry, should have left that info. Nice blog you have here.